Calgary-born U.S. Senator Ted Cruz is no longer a Canadian. The Texas Tea Party favourite ceased to be a dual citizen last month after he took steps to formally renounce his status, a spokeswoman confirmed to The Washington Post on Tuesday. Cruz, who has been the subject of speculation as a possible presidential candidate in 2016, released his birth certificate to The Dallas Morning News last August after debate persisted over whether, as a foreign-born American, he could run for the Oval Office. Cruz was born in Canada in 1970 to a Cuban father and a mother from Delaware. The U.S. Constitution only allows "natural born" citizens to assume the presidency. Most scholars believe the senator is still eligible to be president, but they admit it's not totally clear, the Post said. 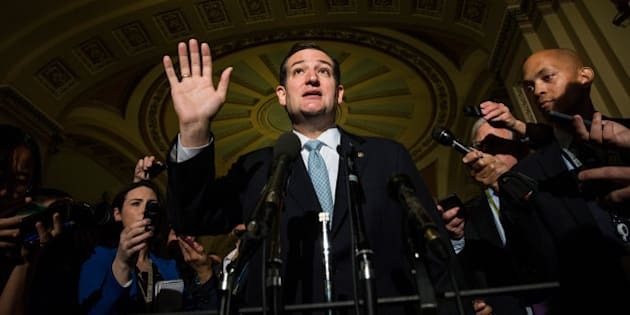 Cruz wasted little time renouncing his citizenship, saying in a statement last August, "Nothing against Canada, but I'm an American by birth and as a U.S. senator; I believe I should be only an American."